Gloria Allred admitted under questioning Thursday on MSNBC that she never asked her client Beverly Young Nelson if she saw Roy Moore sign her yearbook. 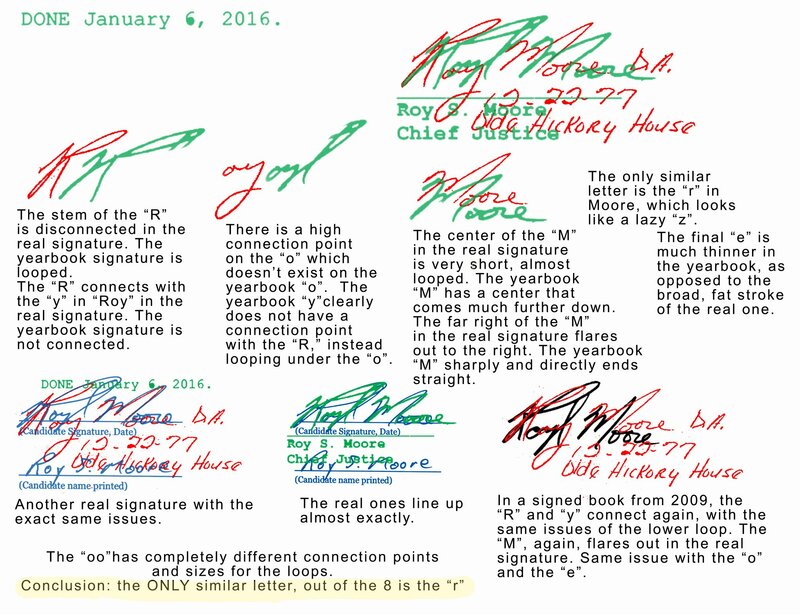 The authenticity of Roy Moore’s signature has been widely questioned, including by Moore’s lawyer Phillip L. Jauregui (more on that below). There’s a lot more stammering, watch the full interview above. I don’t know what’s more shocking, Allred falling apart or Katy Tur actually asking hard questions for a change. Jauregui said Nelson was not forthcoming about having no contact with Moore after the alleged abuse in the 1970s. “As it turns out ,in 1999, Ms. Nelson filed a divorce action against her then-husband, Mr. Harris. Guess who that case was before? It was filed in Etowah County and the judge assigned was Roy S. Moore – circuit judge of Etowah County. There was contact,” Jauregui said. Jauregui also contended that Moore did not sign Nelson’s high school yearbook — a signature that Nelson and Allred used to bolster their claims. 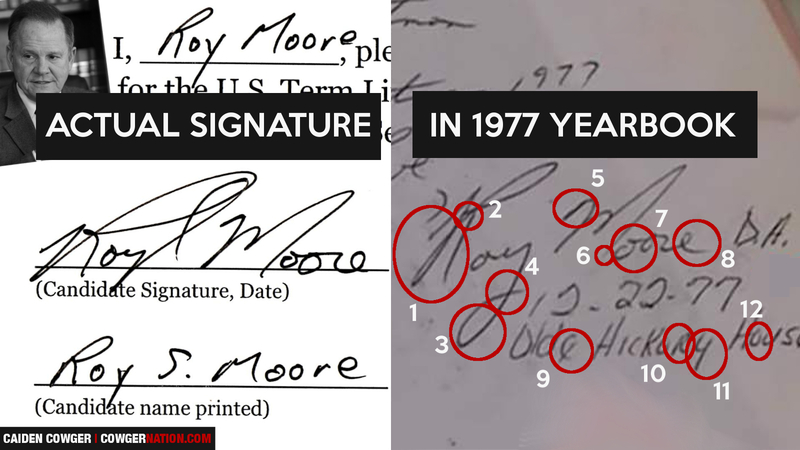 He added that the signature was inconsistent with Moore’s handwriting, and that the postscript on the signature — D.A. 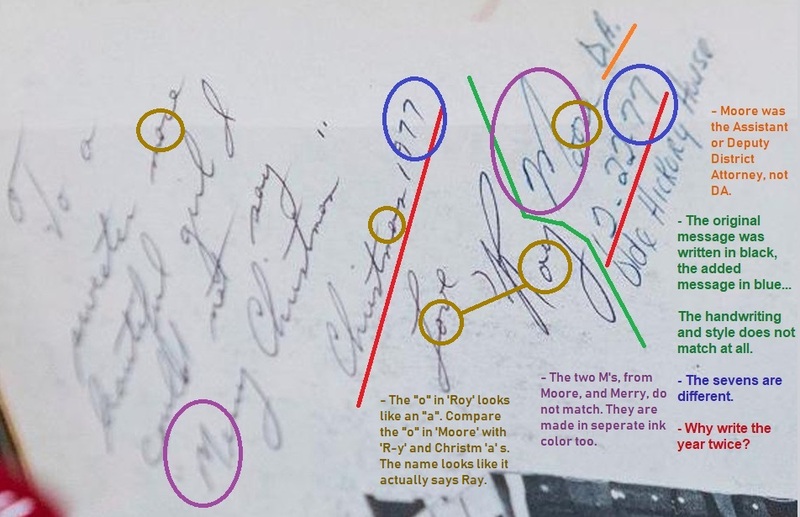 — matched the initials of Moore’s assistant at the time. He called on Allred to release the yearbook so experts hired by Moore can analyze the handwriting. “I got a question, Gloria Allred and Ms. Nelson: Do you still hold that everything written in that yearbook was written by Roy Moore or was it written by somebody else? That’s not an allegation, that’s a question,” he said. Allred later released a statement to CNN, saying they would agree to an examination of the yearbook by “an independent expert or experts” after a Senate committee agrees to conduct a hearing into the accusations about Moore. 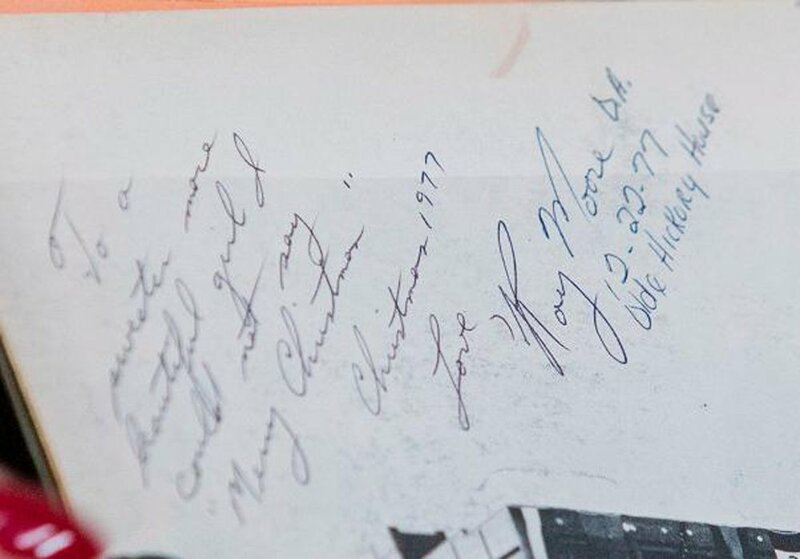 In an open letter to Sean Hannity, who said yesterday he needed evidence from Moore to continue supporting him, Moore said the handwriting in Nelson’s divorce case is different than the signature in her yearbook, among other inconsistencies. Allred feigning ignorance as though she hasn’t heard anyone “doubts” the authenticity of the signature is comical. On the topic of debunking questionable claims, former Gadsden Mall manager Barnes Boyle told WBRC on Wednesday that contrary to reports, Roy Moore was also never “banned” from the mall to his knowledge.